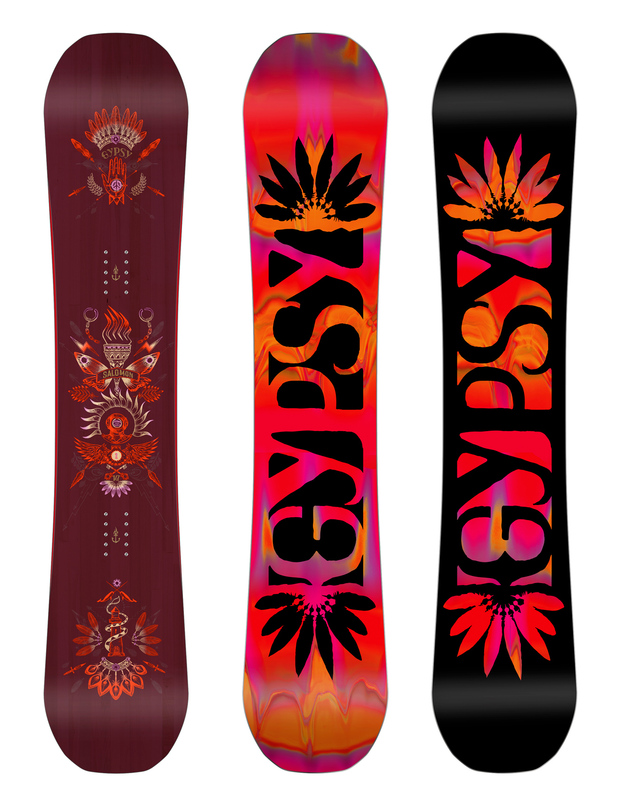 The Salomon gypsy is a female specific, high-end freestyle board. It comes with a fast gliding sintered base, medium flex, twin shape and rock out camber profile which is a stable flat zone between your feet, camber under foot and reverse camber in the tip and tail. The Salomon Gypsy snowboard has got a new shape inspired by the popular Villain with Quadralizer sidecut and Slingshot Sidewalls for more control, maneuverability, and better flex in the park. This is pro snowboarder Desiree Melancon’s ride of choice. If you take a look at the long list of features below, you can understand why. This is a great choice for the female freestyle rider. Sintered Base - An industry standard for quality sintered base materials. Provides a moderate balance between the speed created by a hard surface and good wax retention. Medium Stone Finish - A medium structure finish that improves our fast sintered base glide. Quicker in all snow conditions, from cold morning corduroy to spring slush. BA MD - Medium density European-made fiberglass layers guarantee a consistent quality level, for light and lively boards. True Twin - Freestyle specific: Identical tip/tail lengths and shapes, symmetrical core profiling, flex and a centered binding stance. Freestyle Edge Bevel - From detuning the tip and tail to a 2-degree edge holding tune throughout the key parts of the sidecut, back to a 3-degree bevel between the feet. This delivers the complete blend of edge hold and forgiveness on rails. Popster Booster - Add carbon stringers to the standard popster and you get all the energy from under your feet radiating on the tip/tail maximizing pop. Aspen SLCT - Every single FSC certified wood strip is hand selected to ensure unparalleled core quality and lightness. Quadralizer sidecut - Equalizer and Quadralizer lines blended together for better edge control and precision. Rock Out Camber - Flat between your bindings for stability, Camber near the feet for response and a rocker on the tip/tail for pressability. SLINGSHOT - Carbon inlays that help load and release energy. It provides reactivity under the feet. Medium Flex - Medium flex is adapted to riders that need to feel good on each type of terrain, for each type of practice.